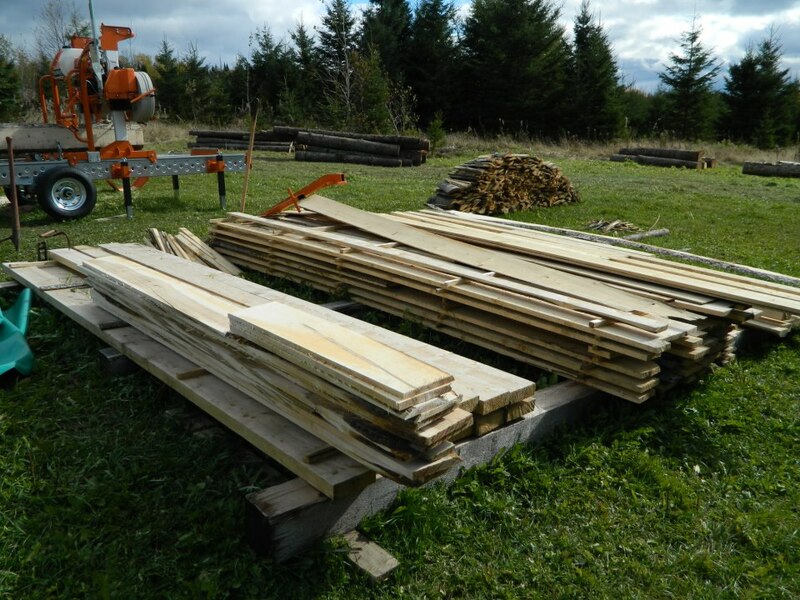 You can only mill so much lumber with your portable bandsaw mill before you have enough stacked up in the shed, barn, garage and every other empty space. It’s time to face the fact you now have lumber to sell. But, selling lumber can be tricky. 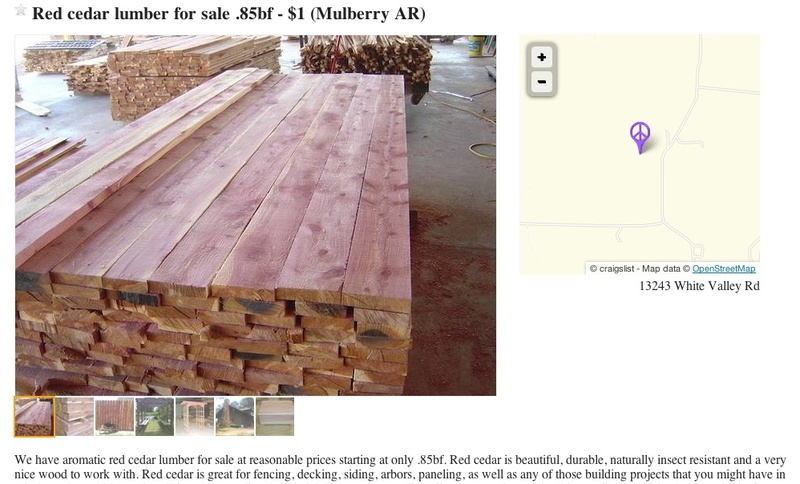 For one thing, as soon as you have a nice stack of 4/4 (1” thick) lumber to sell, the next person to call will invariably want 6/4 lumber for trailer decking. If you cut oak, the customer will want ash, and if you cut 6” wide boards, the customer will want 8”. So here are a few tips for when you think you’re ready to start selling your lumber. Get customers to order ahead. If you know exactly what a customer wants, you won’t have to worry about the dimensions to cut or storing the lumber. It is reasonable to ask for 50% payment in advance. If you do this, make sure you are clear on species and dimensions and ideally, you will get it in writing. Also be specific about full dimension (where a 2×4 is actually 2” by 4”) versus nominal (where a 2×4 is 1-3/4” by 3-1/2”). If you are cutting without a specific customer or application in mind, cut standard thicknesses. For building lumber, such as 2×6, cut the lumber to match what a customer would get at a lumberyard. For flooring and furniture, the most common hardwood dimensions are random widths by 1-1/8” thick. This allows for shrinkage and planning and still gives a ¾” thick finished board for cabinets, flooring and other wood products. Other common thicknesses are 6/4 (1.5”) and 8/4 (2”), but there is less demand for these thicknesses and they take longer to dry, so these should more specialty/custom pieces. 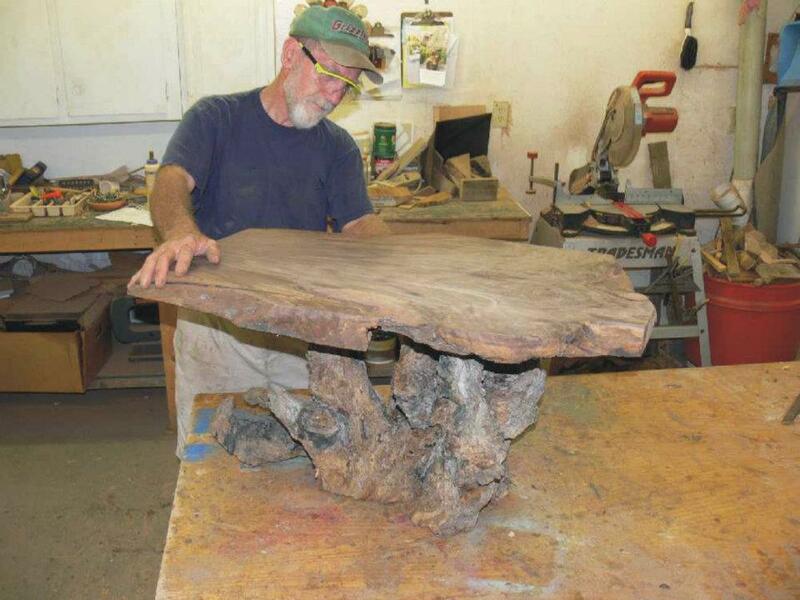 Woodworkers generally glue up thinner pieces for table legs and other thick furniture parts. Keep your lumber sorted by species. Sure, you know what the wood is when you cut it and stack it, but when you are looking for wood from that sycamore log you cut last year, will you be able to find it? If a customer asks for a certain species, it is great to be able to go to the right stack, and maybe run a piece through the planer. That will sell the wood! Always stack your lumber for air-drying. You might sell the stack next week, next month or next year. Proper stacking prevents warping and decay and adds to the value of the wood if it has air-dried. You can refer to this forum post on air-drying lumber for more information on proper techniques. Get the word out about your product. If you want to really get word out to potential customers, you need to do more than just post on Craigslist. Postings at local farm stores, hardware stores, lumberyards or anywhere else someone will let you advertise for free will help draw attention to your valuable stock. Have some good business cards printed and keep them with you at all times. While on a cutting job, people may stop by to inquire about your services or a casual conversation at a gas station may turn into an opportunity (especially if you happen to be towing your sawmill at the time). Of course, if your spouse will allow it, putting a “Quality Lumber for Sale” sign out at the road will catch the occasional passerby. Target specific customers. Farmers, for example, will be interested in lumber for trailer decking, fencing and barn siding. Woodworkers are more interested in fancy or unique wood for creating unique pieces like a nice cherry tabletop or oak cabinet. Show off your wood. After cutting your lumber on a portable band sawmill, run a piece or two through the planer for your prospect. A lot of potential customers will shrug at rough-cut lumber, but will pull out their checkbooks once they see the end product. Pouring denatured alcohol on a board will also really make the grain stand out, as though it has a lacquer finish on it. Alcohol won’t discolor the wood the way water can. This is great for photos you will be posting on bulletin boards or online or to show your customers live. Be aware of restrictions on transporting wood. Don’t plan on selling a nice walnut board from Pennsylvania to someone in Illinois. There are several restrictions on shipping wood because of the little bugs that can hitch a ride and infect trees in the different locations. The walnut canker disease and emerald ash borer are two examples. Unless the wood is kiln dried, keep sales local. Because of this, eBay and other such Internet marketing services may not be a good fit for your business. Add value to your product. The rule of thumb is for every process, you double the value of the wood. For example, milling can increase the value of an oak log from $.40 per board ft. to $.80. Kiln drying doubles it to $1.60 and producing tongue and groove flooring or paneling in turn doubles it again to $3.60 (or more). Yet each step is actually easier than the one before as the processed lumber becomes a little easier to work with. It is a little like climbing the food chain. Finally, this should go without saying, but be sure to take care of your customers. There is no better advertising than word of mouth. Your best customers want you to stay in business so they can buy from you again and they will help you get the word out. This involves having the wood ready when you say you will, making sure the quality meets the customer’s expectations, and even cutting an extra 5% (at no charge) just to be sure they get enough wood. Once you’ve established happy customers, don’t be afraid to ask for referrals or even photos of their finished products for you to share with your prospects. The best way to demonstrate the value of your lumber is to show how others found value in it. This will ultimately be some of the cheapest and best advertising you can get! Taking care of your wood, your customers and promoting your portable sawmilling business is important. These can make the difference between remaining a weekend sawyer and running a full-time sawmill business, which can profitably sustain you and your family.